International airlines are reinstating the BSP ticketing authority for all travel agents in Greece, following the Greek parliament’s vote of approval for the prior actions demanded by the country’s creditors in exchange for a multibillion euro new bailout. 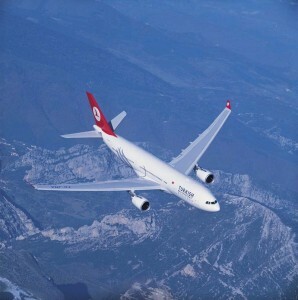 Since early last week, a large number of international airlines stopped allowing the sale of tickets through local travel agents in fear of the financial risk involved, due to the political instability and financial situation in the country. However, now that the situation in Greece seems to be clearer, it would seem that airlines are coming back and reactivating the sales of their tickets in the Greek BSP. In particular, Turkish Airlines said in a statement on Thursday that it is gradually reinstating the BSP ticketing authority for Greek tour operators and travel agencies. “Additionally, the company will work with them to minimize the economic impact created over the last days”, the airline said. Likewise, Emirates has also reinstated the BSP ticketing authority for Greek travel agents and so has Copa Airlines. In a letter to travel agents on Thursday, Copa Airlines said it decided to reactivate the sales of tickets in the Greek BSP, “because of the recent events in the Greek country”. It is reminded that Qatar Airways reinstated the BSP ticketing authority for Greek travel agents last Thursday, July 9. “We would like to apologise to our partners for the inconvenience caused and we would like to thank them for their constant support and loyalty”, Qatar Airways Country Manager, Iberian Peninsula, Greece and Cyprus, Marimar Laveda, said in a statement. According to reports, sector authorities are optimistic that more airlines will follow the above-mentioned carriers and reactivate the sales of tickets in the Greek BSP.